Step 3: What salt to add? The maintenance starts initially from checking the level of the salt in the tank. The salt is used for the regeneration process. Thus the level of salt tends to change often. So it is essential to properly maintain the level of salt in order to get the best result from the water softener. There will be a level indicator in the tank that mentions low/medium/high. It is always necessary to maintain the medium level. The tank must contain salt up to the medium level to give maximum purity to the water. The level of salt may differ from one model to other models of water softener. It is recommended to read the user manual for exact maintenance of salt level in the tank. So it’s your duty to maintain the instruction manual carefully. It is important to periodically check the salt level. There are three types of salts – Tablet, Granular, and Block that are used in the softener for a better result. Each model may differ in the types of salts used for the regeneration process. The salt selection is determined by the water softener manufacturers. It is advised to use the salt that comes with the product when purchased. Tablet is the commonly used salt which dissolves easily without sediments. It is compulsory to inspect the system every two months under proper guidance and supervision. If any stain found in the tank must be cleaned, so that further formation can be stopped. The cleaning can be done every three months. 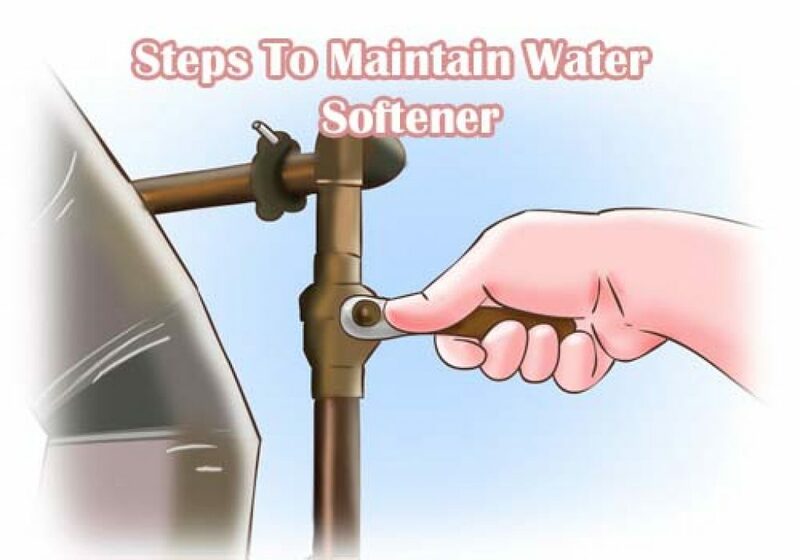 It is crucial to regularly maintain the water softener system with special care. When taken special care the system will function for a long duration. If any major issues arise, it is always recommended to consult the technical team to repair the product. Note that most of the systems have a warranty. So act wisely in utilizing the schemes. Check out our article on the best water softeners for your home.